I am so excited about this post. Some of you may know that I live in Minnesota, the state famous for their 10,000 lakes. Also their long cold winters where there is not a lot of daylight during the winter months. We are starting into that time of year. Yep, the time of year that food bloggers dread. I try to do my food photography over the weekends, but that is not always easy. You know how life is, so busy and then there are those cloudy days… how I dread those cloudy days. I have been looking into some lights, but man are they pricey. When I found this article “DIY Lowel Ego Lights. I showed it to Mike, who is quite handy at this kind of stuff, and he assured me that he would have no problem with making them. So we went to the store and picked up the items that we needed and I now I have one homemade Ego Light. Another one will be on the way soon, the store that we bought the light bulbs at, only had enough for one light. The pictures that I am posting tonight are my first attempt at using the new light. Granted I need a lot of work, but I am so excited to have these lights. I won’t have to worry about doing all of my photos over the weekend. Yay!! Now for the recipe. I have made overnight oatmeal in the past, but I wanted to try something with some flavors that I have not tried before. Orange popped into my head. I really like the flavor of orange with a hint of cinnamon so I decide to add a touch of that as well. I wanted to do something healthy, so I decided to go with honey and omit sugar from the oatmeal. Also, I added a some Greek yogurt along with the orange juice. I didn’t have fresh orange juice, so the bottled stuff had to do. I was excited to try it but was a little disappointed by the taste. So I gave a taste to Mike and our son Adam, who both enjoyed it. I wasn’t sure if I should post it, but Mike assured me that he liked the flavor and he would enjoy this for breakfast. 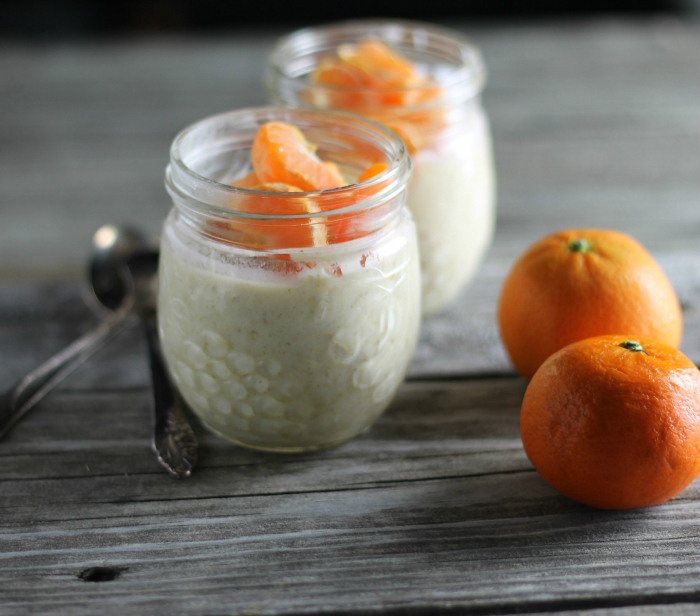 I decided to top it off with some slices of clementines (since I didn’t have oranges) and I loved the flavor that the slices of clementines gave to this oatmeal. 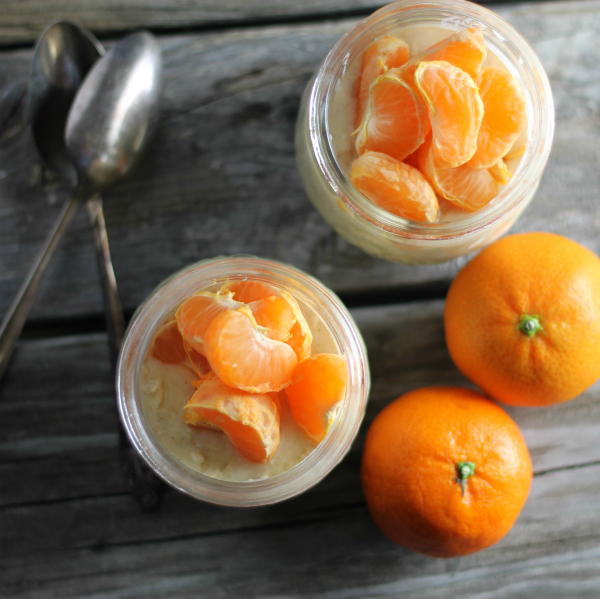 After tasting with the slices of clementines, I can see myself having this for breakfast. 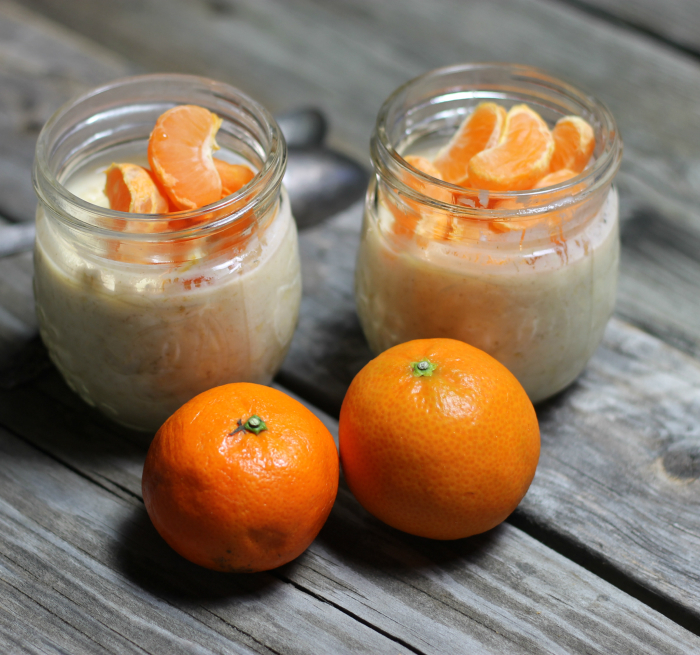 I love starting the day with a healthy breakfast and what better way than to have this oatmeal topped off with some fresh orange slices. 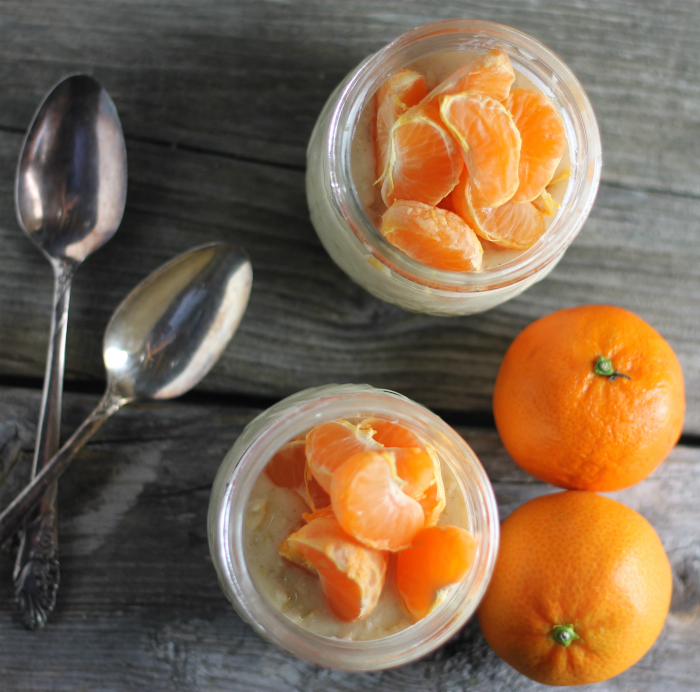 In a medium bowl combine the orange juice, Greek yogurt, and honey, mix together. To this mixture add the old fashion oats and cinnamon, stir until well blended. Pour into jelly jars or other small jars. Cover and place in the refrigerator overnight. Before serving to top the oatmeal off with some orange slices. Simple, filling and delicious…a great breakfast, Dawn. I love, love, love those little pots you have. I really need to start preparing make ahead breakfasts! Your little oatmeal posts look like a yummy place to start!